I don't usually use my blog to rage, but I have held my tongue the past few times I've wanted to speak-up...until I want to explode! How difficult is it, in this day and age of technology, to check information before you spread it all over the internet? I mean, it doesn't take a rocket scientist to check legitimate, reliable sources, which are available at our fingertips...any time of the day or night, twenty-four hours a day, seven days a week. Does it? I suppose when the school year is in session, I don't have the spare time to read the absolute nonsense that people post on the internet, especially on social media. I guess it's a good thing I don't, or I would find myself raging quite often...and would want to track people down via their IP address and give them a piece of my mind face-to-face! I teach sixth grade students. I expect them to walk in my classroom, quite often, and spout off about whatever recent rumor, chain email, celebrity gossip, or unfounded claim they've read on their social media newsfeed. I expect it, I'm prepared for it, and I take the time to teach my students about checking sources, not believing everything they read, and knowing how to track down information. I tell them that spreading a lie makes them a part of it. While I expect this kind of poor judgement from eleven and twelve-year-olds, I do not expect it from grown adults. Children are still learning about how to decipher good information from bad information. Grown adults should have learned this by now. You don't have to be a researcher...or a teacher...or have a college education to know how to put a little effort into finding out if the information you so readily "copy and paste" to your Facebook site is actually - even remotely, even just a little bit - TRUE. By the way, the video is from Australia. I enjoy the young lady's presentation and her accent. If you don't like that one, there are plenty more. Just search Youtube for videos on how to find reliable resources. You have a responsibility to this world to be a good citizen, to acquire knowledge and add something to the world around you. If you aren't adding something positive to the world around you, then you are taking away from it or adding something negative. Now, for my students, I try to encourage them to make good choices. They are children, they are still learning. There is hope for them. I believe there is hope for us all. However, should you choose to take away from the world or add something negative to it, please make sure you are not "friends" with me on Facebook...or in real life, for that matter. Make sure you don't pass on negative chain emails to me or ignorant statistics about what is going on in the real world I am a part of and know how to check your statistics and unfounded rumors against reliable sources. I realize there is nothing I can do about all the ignorance that abounds on the internet. I can, however, control the flow of ignorance my own eyes read on my social media and my emails. I can, and do, control what I watch on television and the books I read. I believe, as I tell my students, that when you take in "brain garbage" then garbage is what your brain gives you back. Please help stop ignorance! It really is a growing epidemic. Check your sources. 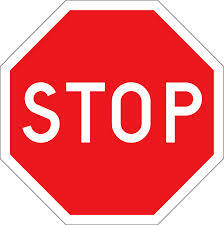 If you don't want to do that, then don't pass on the information. Have YOU read Atlas Shrugged? For those of you who prefer to skim text, I have bolded the main points of this blog. I have my reasons...and they will become clear at the end. Every time someone asks me, "Hey, have you ever read Atlas Shrugged?" it's usually by someone who hasn't read it, but has "heard" about it. I've been asked this more since the Tea Party movement has taken up waving the Rand flag. While I'm not a political commentator (well, at least, not on this blog), I have a serious problem with anyone who takes quotes out of context to suit their own purposes. This problem stretches to all groups of people, not just politics. 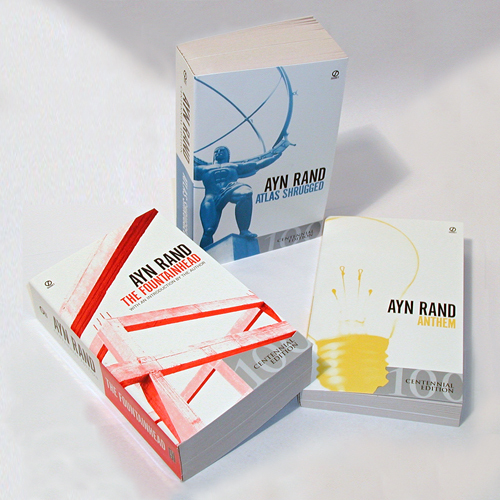 I don't want to discuss what people use Rand's literature for. Heck, I don't even care to talk about what she used it for (her own soapbox, so to speak). What I want to talk about is Rand's two major works and one smaller one. I'm tired of people asking me if I've read Atlas Shrugged, but they have no idea what The Fountainhead is, much less about a little book she wrote called Anthem. I'm also not going to give you the history on the books. Don't be lazy, it isn't like you have to go to the library and look it up in the reference section. If you're reading this blog, you have internet access and a computer at your disposal right now. Go look it up,...but not yet. I have a "suggested journey" for you, if you don't mind. If you've never researched Rand or her novels, let's hold off a bit and save some surprises for later. If you are interested in reading one of Rand's books, I would like to guide you...in the direction of least resistance. 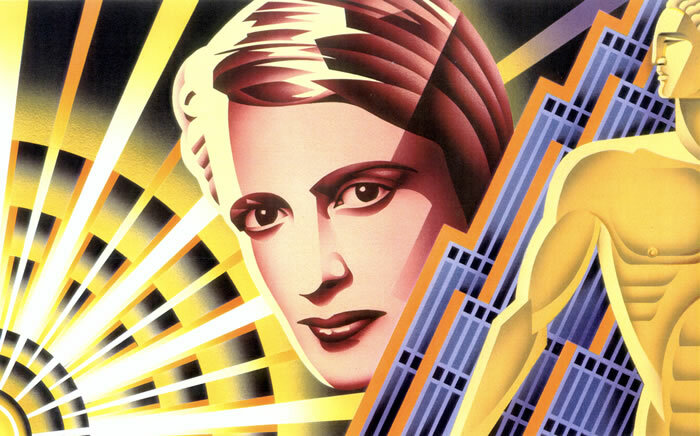 I fear that if you read Atlas Shrugged first, you will lose heart and give up on Rand. I am so glad I did not read that one first. I don't think I would have enjoyed my journey into Rand's world if fate had not smiled upon me and led me in a good direction. Begin by reading Anthem. It is a fiction novella about a dystopian society. It is short (roughly...80 pages?) and to the point. I've read this book numerous times, and I can apply it to society in many different ways. I'll be honest, I read this one first because it's the smallest. It's tiny, in fact, when compared to Atlas Shrugged. I have a friend who constantly reminds me that "clear and concise" writing is the way to go. Anthem is a good testament to his point. Next, you should read The Fountainhead. Yes, I know - it won't be noticed nearly as much on your bookshelf, and none of your acquaintances are going to ask you, "Hey, have you read The Fountainhead?" but this novel is worthy of your time. It's a great story, has good characters, and it flows to give you a solid movie in your head. It's a good book. Period. I will confess here that it is one of my favorite books, and I have read it more than once. I also admit, as I have in previous posts, our own experiences and the connections we make to a novel enhance our reading journey. I do not claim you will put this book among your favorite, I do stand by the claim it is a book you will enjoy...just because it's a good read. Now, once you have - at least - a small grasp of who Rand was, read Atlas Shrugged. If you are not an avid read, take it in small doses. Don't let the size of the novel scare you off. Here's something else, though,...if you get bored in certain parts - you're not alone. It IS a good story, BUT it's almost as if Rand forgot about clear and concise writing. It is a bit "preachy" - redundantly so. The story drags out too long, and I just keep thinking that a good editor could have really done something for this novel. 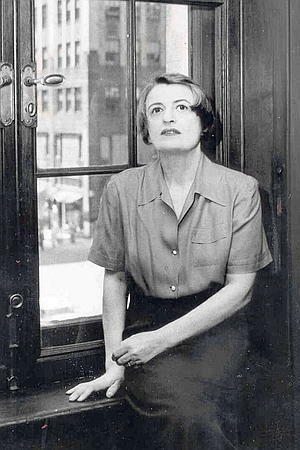 I have wondered, more than once, if Rand was just driven to make a point - not only about her philosophy, but about how looooong she could make a novel. Now, I don't claim to be a Rand expert. I do claim to be an excellent reader. I also understand people who are not excellent readers. My heart's passion is to help middle school students who struggle with reading. I try to consider all readers when I review a book. While I am a "born bibliophile," I know that everyone is not. That being said, everyone could read and enjoy Anthem. People who enjoy reading will like The Fountainhead. People who are avid readers will appreciate the story in Atlas Shrugged and forgive Rand (as they muddle through) for not choosing and trusting a good editor. To show I am aware and appreciate clear and concise writing, I bolded the main ideas of this blog so you could get the highlights without having to read all the commentary my brain adds to it. You see, I understand all the ways people take in information - detailed or not. As long as you're reading, what and how you read is simply a matter of preference...and freedom of choice is the freedom I enjoy most. Can you believe it? I scored another good summer read from a first time author - and it was another random pick! I just LOVE that! 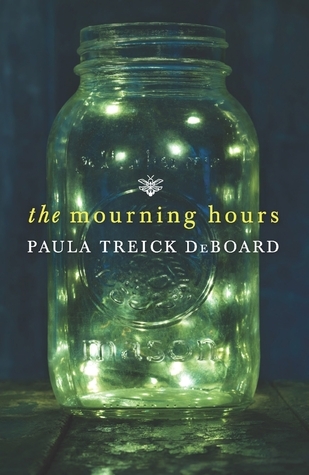 I just finished (and by "just" I mean "just put it down") The Mourning Hours by Paula Treick DeBoard, and I really liked it! I read this novel in a few days (of course, I'm a teacher on summer break). I usually like to sprinkle a few shorter reads in between big novels or series. I knew this would be one of my shorter reads. While it wasn't a difficult read, it was an interesting one! The first couple of chapters didn't flow for me at first, but once I got into the main story, the storyteller did a good job of pulling me in to the family's life. The narrator of the story is an adult woman who is having to return to her childhood home because something has happened. As the reader, we don't yet know what that event is. The trip "back home" takes the narrator back in time to when she was nine and tragedy struck her family. She tells the story of what happened and how it changed her life, and the life of her family, forever. The back of the book states, "The Mourning Hours is a gripping portrayal of a family straining against extraordinary pressure, and a powerful tale of loyalty, betrayal and forgiveness." One more thing I just have to mention. It was only after I purchased the book that I noticed the publisher was Harlequin MIRA. Harlequin? Really? I only associate them with romance novels. So, researcher that I am, I looked it up. Some of the information I found seemed to indicate that this part of Harlequin publishing focuses on "relationship novels," but I did find some references to "romance" on other books published under the "MIRA" label. That being said, let me assure you The Mourning Hours is not a romance novel. First, let me say, this book was a random pick for me. I have plenty of books at home I could choose from (ummm, don't we all?? ), but I was at Sam's Club the other day getting groceries annnnnnnd...just happen to cruise by the book section. Innocent enough, right? I wasn't really attracted by the cover, which is what usually pulls me in, but I was attracted by a combination of three things on the front: the top portion quoted a reviewer saying, "If you're a fan of well-written historical novels..." (Ding! 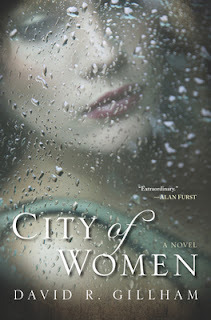 ), the title was City of Women (Ding! ), and the author was a man (Ding! Ladies and gentlemen, we may have a winner!). Now, those three things separately don't mean anything, but together? Together they mean I'm interested enough to pick it up and read the back, the reviews, and the first page or two...or three. I liked what I saw in my preview of the book, and it sealed the deal for me when the reviews mentioned it was the author's debut novel. I like giving newbies a chance. It's good karma, so to speak. I don't actually read about the authors when I choose the books. I don't want to know about them until I read their novel. I guess you could say I like to focus on just the story and save any "ah-ha" moments about the authors for later. I do tend to research many things, especially with historical fiction, after I read a good book. As you know, I will not give the plot away - no spoilers here! I will say, though, for my friends who read the last few pages of a book first (you know who you are), do not do that with this one! It's a rare find when a book has so many twists and turns I don't figure out how it's going to end halfway through. This book is worth the wait to follow all the characters through to the end. They are also the kind of characters you will think about long after you've finished the novel. If you're interested, you can always preview a bit of the book online. I don't like to do that, though, because there are too many spoilers. It's like watching a movie trailer that no longer requires you see the movie to know the entire plot and, usually, shows the only funny parts. I will, instead, quote what the author, David R. Gillham, writes in the back of the book about why he wrote it. Hopefully, that - along with my recommendation - will whet your appetite if historical fictions are a genre you enjoy! "This book came about from my desire to write about history and about ordinary people thrust into extraordinary circumstances. I have always been captivated by history. Not just its broad sweep, but also its intimate corners, where the shadows gather. And Berlin, during the Second World War, was a city defined by its shadows. It provided the perfect setting for people making difficult decisions in their daily lives that could reshape their future in a heartbeat." I will tell you it isn't a "pretty" story. Stories about war never are. It is one of those books that I find myself telling someone, "It's a good book, but it is not a pleasant subject." If you are a fan of books like The Boy in the Stripped Pajamas or The Kite Runner, you know what I mean. This novel, like those, makes you think and ask yourself, "If I were in those circumstances, what would I do? What would any of us do?" Good food for thought,...and it's important to feed your brain! For those of you who are curious about why those three combinations were "a winner" in this case? It is because the front cover looked too much like a romance novel, which is not (I repeat, not) my kind of novel. I don't have anything against them, of course. I am also not ashamed to admit that I've read a few and enjoyed them for what they were. It's just that summer is valuable reading time for me, and I only read romance novels when I'm looking to waste my time. You know, like watching old reruns of some lame show you didn't really like the first time you saw it, but you're watching it again because you don't feel much like thinking - and, who knows, it might give you a laugh or two - so you sit down with a bag of chips, a can of soda, and zone out. Yes, like that. Our youngest daughter, Cynthia (who is 19), told us a couple of weeks ago that she joined the Navy and would ship out for boot camp on July 15th. She knew we would try to talk her out of joining the military, so she decided not to tell us until she'd signed her final paperwork. To say I was shocked...would be an understatement. The ins and outs of how all of it came about, and the details that lead up to her decision, do not really matter at this point. What's done is done. Suffices to say, I love my daughter more than life itself and stand by any choice she makes for her life. She was raised to be her own person, and she is doing just that - being her own person. We will all learn to live with the choice she made,...even me. Even though I don't like it. Now, I don't say that for you to pass judgement on me or how I feel about it. I'm telling you this to be honest. I never expected, when I gave birth to three daughters, to have a child who joined the military. It just wasn't something I was prepared for. I respect people who serve in the military, and I am grateful for their service. I just didn't want my baby girl to be one of them. My father served in the Air Force, my father-in-law served in the Army, and my son-in-law served in the Marines. Again, I am grateful for their service. I just didn't want my baby girl to join the elite club of veterans in my family. Of course, as a parent, I know we don't always get what we want. Our children have minds of their own. My husband and I spent a good six hours on Monday with our daughter at the processing center in Dallas yesterday. This is where recruits finish up final paperwork, take another drug test, and have their final swear-in. Truth be told, it's a lot of "hurry up and wait" - something I've been told the military is famous for. Once all recruits have been processed, they ship them out on a bus to the airport to fly them to their various boot camps. Where you fly depends on what branch of the military you joined. The processing center is for all military branches. We were the first family members to arrive that morning, though not the last, and we had the opportunity to get to know some of the other recruits sitting around in the waiting room. There are several different waiting areas in the processing center, but we were in the main one - in the middle of the room - where the rows of chairs face each other. Needless to say, it's conducive to conversation. Being the true social person she is, Cynthia had already gotten to know some people. We found out, in a room full of recruits, only nine of them were for the Navy and three of those (other than Cynthia) were female. 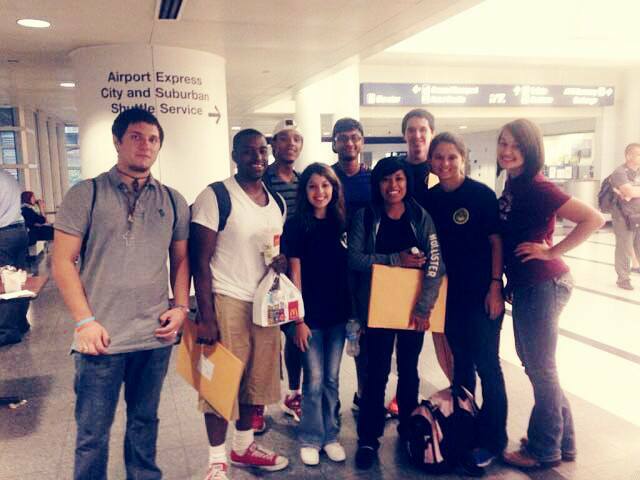 All the rest of the recruits were going to the Army or the Marines. Cynthia had made friends with the Navy recruits and a few others from the Army. I really enjoyed getting to know the new recruits. They explained why they chose to go in which branch and what they hoped to specialize in. I heard about their families and how their parents felt about their choice to join the military. We talked about movies and photography and favorite foods. We laughed at Cynthia imitating her favorite television commercial - more than once. I watched them eat snacks, drink down sodas, and play on their phones. They were all very aware those things would be unavailable very soon. It would be hard for me to tell you what those six precious hours meant to me. It would be even harder for me to tell you what it would have meant to so many of those young people if just one family member had shown up to see them off and sit with them during their time at the processing center. You could see it on their faces, you could hear it in their voices. One young man looked at me, after he got off his cell phone, and said, "My mom was supposed to be here, but she couldn't get off from work. But...she was supposed to be here. I know she'd be here if she could." He walked away for a bit before coming back to the group. The time I spent at the center with those young recruits gave me time to process, too. It was time I needed to absorb the commitment my daughter was making for the next four years of her life. It was time I needed to understand some things about her and the people she would go to boot camp with and serve with. I had really been having a hard time accepting Cynthia's choice to join the military until those young people touched my heart. When the time came to "ship out," all 88 recruits lined up to head to the bus. All family members were told to go outside by the bus and wait. As my husband and I stood in the parking lot, I felt tears come to my eyes when I saw those recruits walk out in a line. They all looked so young to me. We made our way back towards the end of the line where our daughter was lined with her new friends. The commanding officer gave the command, "Recruits, if you have family members here, fall out - give them a hug and tell them you love them." We both reached for Cynthia to give her one last hug. After we did, the commander said, "Recruits, if you do not have family here but you feel you need a hug, fall out - I'm sure the family members here would be happy to give you one." My husband and I happily hugged some of the other recruits, we wished them well, and told them we knew they would do great! Before that day, I didn't know what a military processing center was, much less what it was for. It was my assumption, once I was aware of it, that it was a center where recruits go through the final steps of completing their paperwork. While that is one of its purposes, I no longer think it is the most important one. I believe its purpose is to allow time for recruits to process the commitment they've made and what their life is going to be like for the next four years. Six to eight hours of sitting around in a room, bored out of your mind, gives you some time for reflection and anticipation about the next steps you're taking in life. For me, personally,...I had a unique processing time of my own. Things happen for a reason, you know. I am grateful to the young people who helped me at the center, just by being themselves and sharing their lives with me. I remember all their names, have pictures of all their faces, and they are forever imprinted on my heart. I am proud of my daughter - of course, I always have been. She is who she is. I would never want her to be someone else for me. I will worry about her, I will miss her, and I will love and support her as she embarks on this new journey. I will pray for her safety and well-being and happiness, as I have always done. What can I say? It's a process. While I was in England, I took around 4,000 photos. No, I'm not kidding. Since my return home, I try to spend a little time each day going through the photos. It isn't a task, really, because I enjoy looking at them and reliving the moments of my trip. I'm learning things about myself as I go through them. Odd things. Interesting things. One thing I've learned is I am strangely attracted to taking photographs of flowers growing where they shouldn't. I mean, I take the normal nature photographs in gardens and parks, but I seem to always find some obscure flower poking out of a crack in concrete or a small crevice in a rock. I can't tell you how many pictures I took of flowers growing out of street walls in England. Not exactly a big tourist attraction, if you know what I mean. I am aware I am doing it, of course, I just didn't ask myself why until...someone else did. It was a fisherman in Newlyn - a true, blue, dressed-in-work-clothes-and-big-yellow-rubber-boots fisherman sitting on a bench by the side of the road. He didn't ask me why I was taking pictures of a wall. He couldn't. I was too busy taking photos. It was my friend, who was patiently waiting for me, he asked, "Does your friend like the wall?" She explained that I like the wall and the flowers. The man seemed puzzled, "Hasn't she seen a wall and flowers before? "My friend smiled and tried to give him a brief explanation. She told me about this little conversation after she'd gotten directions from the helpful fisherman, and we were continuing our walk to the next town. I laughed when she told me and wondered how many good English people had wondered about the strange American woman taking pictures of odd things, laying on the ground to get a good shot of something, or speaking to her friends in "y'all"s and "ma'am"s. It wasn't until I'd been home awhile, and going through my photos, that I heard the fisherman's questions in my head again. I began skimming through all my photos from the two weeks. In almost every set of outside photos, there they were - flowers growing in unlikely places! I'll be the first to say they weren't all good photos, but...I still liked them. In some cases, I had taken the "pretty" shot - including the flowers as background/foreground - before taking one of just the little flowers, focusing on them instead of the bigger picture. Just for me. I decided to look at other trips I've taken in the past and found that I had the same type of pictures mixed in with those, as well. They weren't photos I took because I planned to frame them or show them to other people, I took them for my own pleasure. As I said, I liked them. So,...the question I asked myself was, "Why?" The answer came to me as I looked at picture after picture and began putting them all together in a group: I admire the little flowers. I truly admire them - not for their beauty (although I do find them beautiful), but for their strength and their endurance. They have not been cared for and cultivated in a garden. No one made sure they had the right amount of sunshine and water and fertilizer. Everything you see was brought forth by effort and stamina. After all these lovelies have been through - bad weather, heat, cold, and very little room for growth - they keep coming back every year. They lay dormant for a season (a rather long, cold season in England), but some part of them hangs on and pushes back through to bloom in due time. They don't even have a deep root system in which to depend on! It's funny, if you think about it. They thrive in a little dirt and dust between the cracks, adding softness and beauty to the rough landscape around them. They are quite determined to flourish, even in the most difficult of circumstances. I think there's a lot of really good lessons in all that, don't you? By the way, I have a bare wall in my new library room that needs some pictures. I wanted to have "just the right" photos from my travels to put on that wall, but...I'm thinking it's not always about hanging the perfect photo on the wall. Sometimes, it's a good idea to display perfect reminders about the importance of finding the beauty in life and learning to have "just the right" attitude about your circumstances, along with a good amount of determination and motivation to thrive. I knew I would have good reading time on my plane and train travels, but little did I know my book would spark such interesting conversations. Although, in all fairness, I think my numerous tabs drew more attention to the book than anything else. Most people who approached me began with some reference to why I had so many pieces of paper sticking out of my book. Still, I enjoyed each and every conversation about my book...and my stickies! On one of the trains in England, I had a lady ask me about my sticky notes. When I explained to her they mark great quotes, delicious words, and things I want to research later, she began to tell me about her love of words and the things she studies. She told me she studies translations and old Hebrew language. She explained how the language is so concrete - so literal. I found it very interesting and had her write down a couple of the language symbols in my notebook. As for the good book itself, I thoroughly enjoyed The Wise Man's Fear! In all honesty, there was a couple of places in the book where I thought the pace could have been picked up a bit (or a journey not taken quite so long), but I think that is a preference to be determined by each reader. For instance, a battle scene may seem too long to me in an action film but, to someone who loves that type of thing, it may seem too short. You know what I mean? By the way, I finished the book on my flight back home from England. I had a flight attendant approach me, point to my sticky notes, and ask, "Are you doing homework or reading?" I smiled, as I always do, and said, "I am reading for pure, unadulterated pleasure,"...which began another conversation about the book and why I tab. This conversation ended up involving a couple of other passengers and another flight attendant. The wood was the color of dark coffee, of freshly turned earth. The curve of the bowl was perfect as a woman's hip. It was hushed echo and bright string and thrum. My lute. My tangible soul. I have heard what poets write about women. They rhyme and rhapsodize and lie. I have watched sailors on the shore stare mutely at the slow-rolling swell of the sea. I have watched old soldiers with hearts like leather grow teary-eyed at their king's colors stretched against the wind. Listen to me: these men know nothing of love. You will not find it in the words of poets or the longing eyes of sailors. If you want to know of love, look to a trouper's hands as he makes music. A trouper knows. Is there such a thing as too much fun? Probably not. Still, I feel I have been on a wonderful merry-go-round that I really need to stop and step off of it for awhile to take a breath. After my trip to England, I spent a few days in San Antonio with my husband, which were delightful, and I have been out and about in Texas since then! You see, it is highly unusual to have weather that's NOT "too dang hot" in Texas in July. Normally, we have temperatures of 100 degrees plus. This has not been the case for the past week. 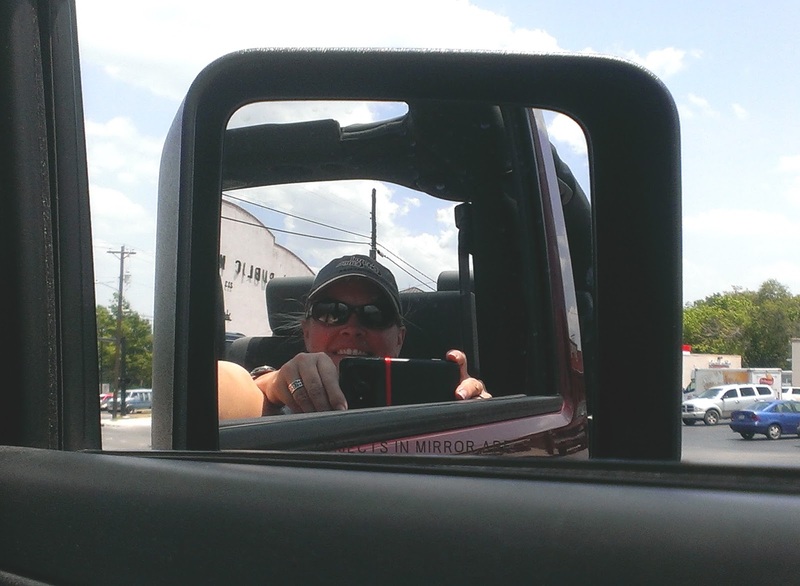 It has been, what is commonly known at my home as, "perfect Jeep weather" days! This means that instead of spending time indoors (and on my computer), I have enjoyed the great outdoors with the top off the Jeep and a camera in my hand! While I was out riding around yesterday, I thought about you and my blog. I wondered if I made a mistake in not taking you with me to England or to San Antonio. I thought of how I could have blogged a daily journal, of sorts, while I was in England and how it might have drawn in more readers that find travel as fabulous as I do. I questioned if I made a mistake in leaving my laptop behind. I answered my own question: No, I didn't make a mistake. It was the best thing to do. I was living my life, absorbing every moment and, as much as I love to write and share my experiences, technology can begin to take over your life if you let it. I refuse to let it. Life is important to experience without wondering if something would make a good picture for your facebook...or your blog. I took around 4,000 photos while I was in England, but - I can honestly say - they were for me. I don't mind sharing some of them, of course, but I took pictures of what I enjoy, what I wanted to remember, and what brought me the greatest joy. 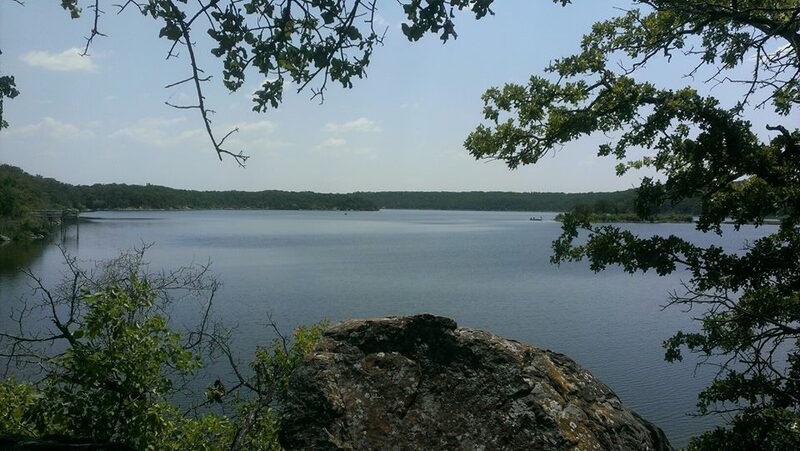 Brief example/side bar: We went to a wonderful lake/state park yesterday, and we were having a great time! At one point, I found a good photo shot. I took out my phone (instead of my camera) to take a picture, so I could share the view on facebook. Now, there was a good reason for this - I have teacher friends who are off for the summer. I wondered if any of them had thought of this place as a great place to hang out with their families. Many times when they share where/what they've done, I go to places I wouldn't have thought of before. When I tried to post in on facebook through my phone, I found that my data source wasn't working from our beautiful view. 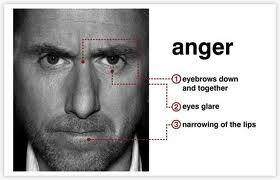 I got a bit...agitated. When we headed back to another part of the lake, where there is a lovely beach and little store, I knew I could probably get data access in that area. I asked my hubby, a little too snappy, to find a shade spot so I could post the picture. Now, how wrong is that? Very. Could it have waited until later? Yes. Was I taking something away from enjoying our trip? Yes. Did I catch myself, apologize to my hubby, and put the stupid phone away? Yes. I met lovely, interesting people along my journeys. I want to share those experiences with you, but I didn't go out of my way to have experiences so I could blog about them. I had them because life brings new people in your life when you open yourself up to new experiences. When you don't have your nose in your laptop, your phone, or...yes, even sometimes,...a book, and you take a look at the world around you, you'll find it is quite fabulous! My husband has been on vacation this week, which I have greatly enjoyed, but he goes back to work on Saturday. This means the pace of my summer break from work will find a nice, slow, lazy wallow I enjoy. Time for slow mornings with a cup of coffee and a good book. Time for writing and blogging and catching up on facebook newsfeed to see what my friends have been up to lately. Time for getting together with friends and, maybe, catch a movie.